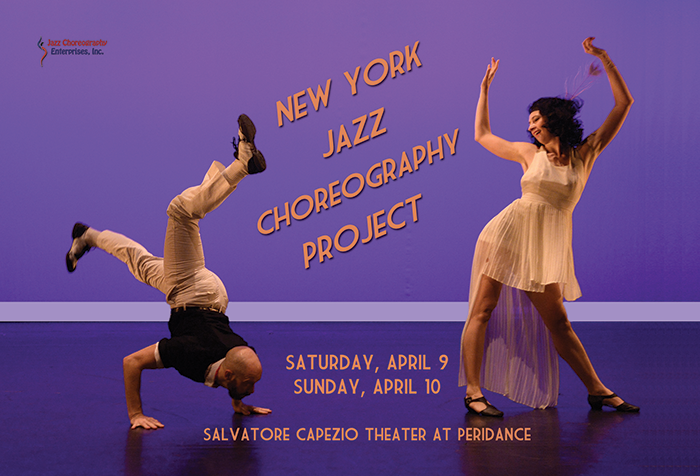 The New York Jazz Choreography Project is a celebration of jazz dance featuring original works by emerging and established choreographers. Audiences of all ages will be treated to dances in a variety of jazz styles from Charleston to contemporary and the chance to see the richness of this great American art form. Doors will open one-half hour before show time. Seats are not assigned, so it’s best to arrive early. The performance will be approximately one hour and 10 minutes long, no intermission.